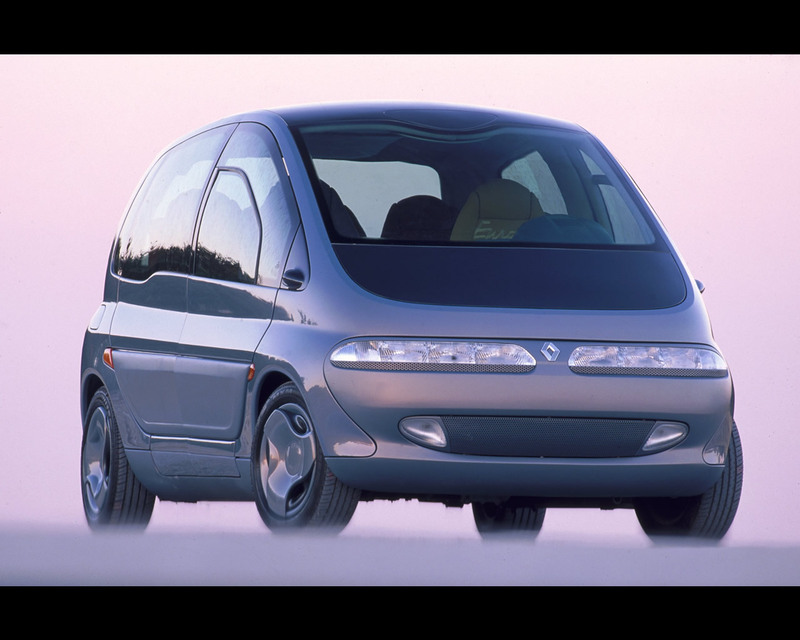 The Renault Scenic Concept was presented, for the first time, at the Francfurt Motor Show in 1991. With this Scenic Concept, Renault revolutionized the industry with a new category of vehicle, the compact MPV (Multi Purpose Vehicle). 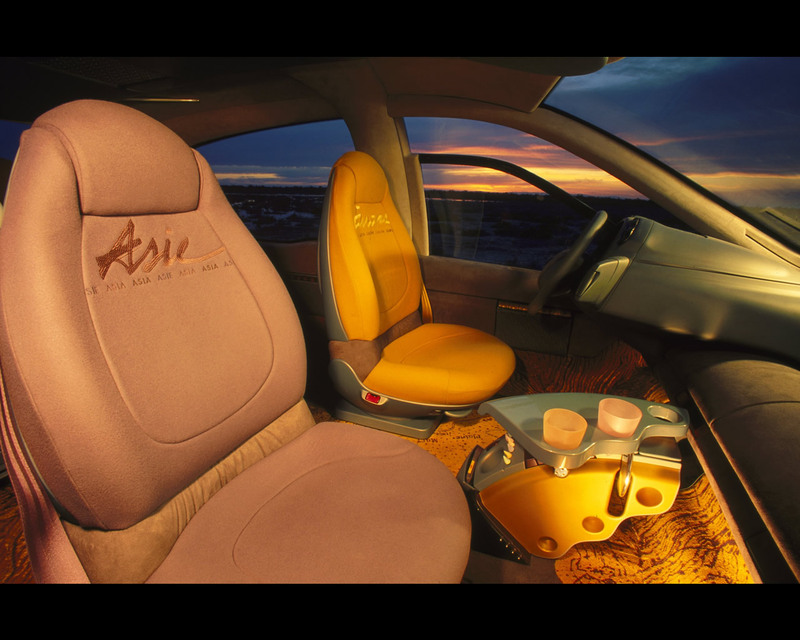 This concept car was a technological showcase, a design study aimed at producing a new type of family vehicle embodying Renault's idea of the "car for life and living". The "invitation to travel" theme was thoroughly developed in this cocoon-like vehicle, through form, colour and trim, but also through its functional innovations and safety features. 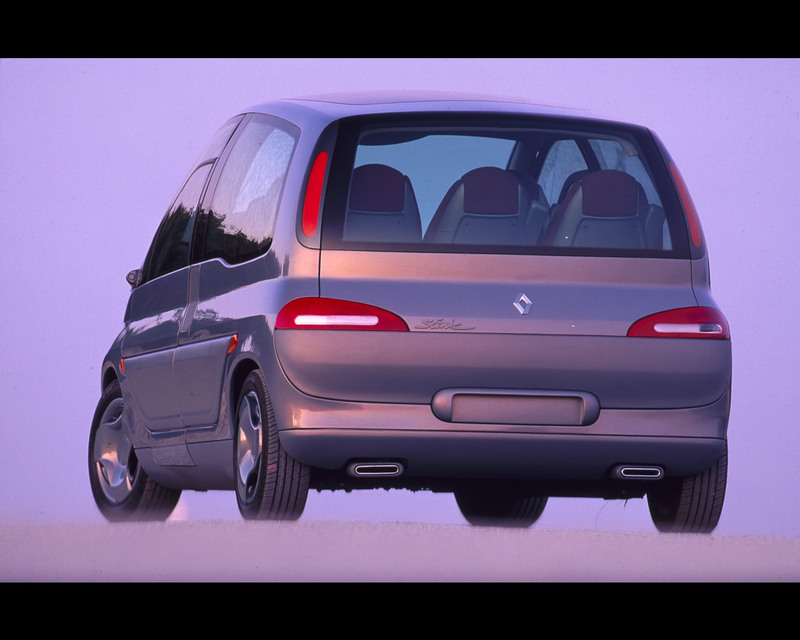 Time has shown that this Renault Scenic Concept was really pioneering a new type of transportation mode illustrated by the success of several generations of Renault Scenic production models as well as by several Car Manufacturers introducing similar models in their production lines. Features of the Renault Scenic Concept: Revolutionary exterior architecture. Absence of centre pillar means that the two right-side doors form a single opening, sliding toward each others to offer easy access to the cabin, delivering new levels of space. Single sliding door on driver's side which gives the Renault Scenic Concept previously unattained stiffness and strength, particularly in the event of lateral impact. Double floor housing chassis and two stowage holds more luggage space, accessible via opening both inside and outside the car. Optimized use of recyclable materials. Seat-mounted safety belts, two child safety restraints, driver airbag and drowsiness detector for new safety performances. Automatic door locking and micro-cameras for rear view vision. ABS coupled to automatic transmission and automatic tyre pressure monitoring. Power steering, four wheel drive and automatic load levelling system at the rear for a safe, easy and confortable drive. 150 hp 2.0 litre multivalve engine. Automatic transmission controlled by keyboard replacing conventional gear lever.